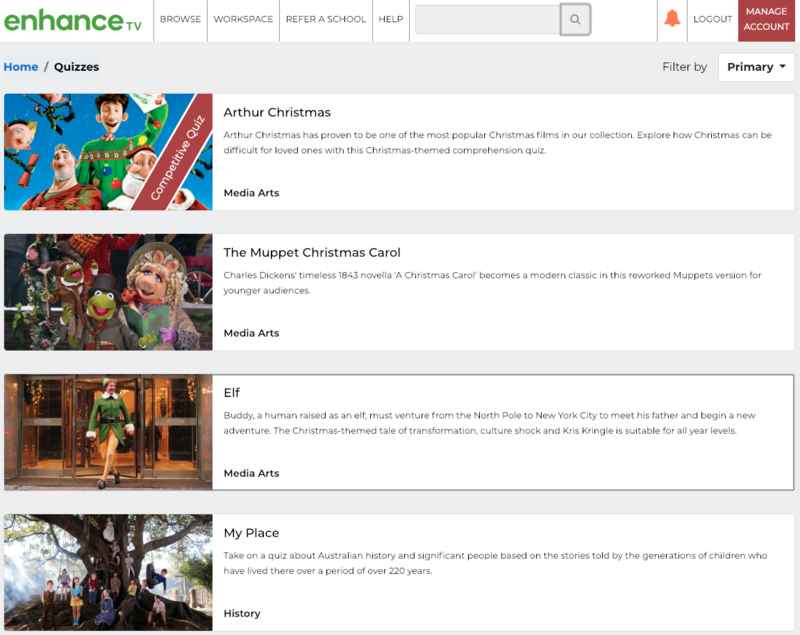 Our EnhanceTV Quiz section has recently had an update, you will now be able to take a Quiz as a teacher or admin and there is also a fun and competitive leaderboard now that will display everyone who takes the Quiz* results and time it took to complete. *Competitive quiz only on quizzes with the "Competitive Quiz" banner displaying in the preview picture. To take the quiz, then click on Take Quiz on your selection. 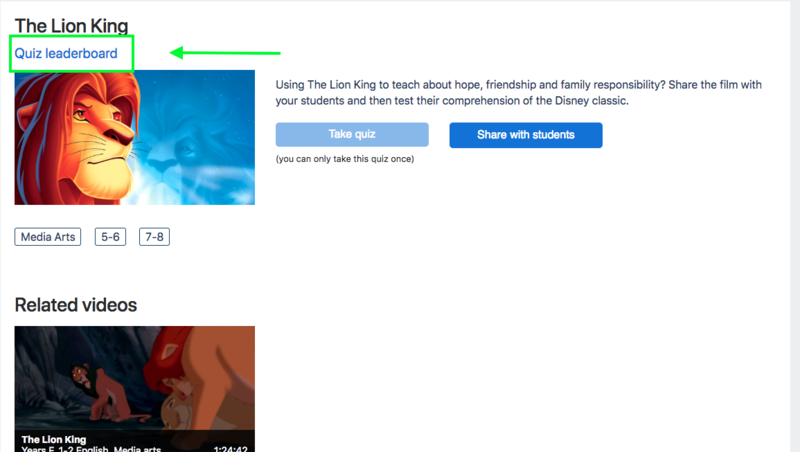 To share a quiz with your Students, click on Share With Students. To View the leaderboard, click on Quiz Leaderboard which is located underneath the quiz title. The leaderboard for a public quiz will show the board for all people who have taken the quiz, including teachers. To save a quiz to your workspace, click Add To My Workspace.